A business leader from Swansea is celebrating 30 years in business with one of the country’s leading high-spec construction and maintenance companies. Steve Evans, managing director of the construction division of The Premier Group, started with the national fuel engineering specialist in April 1988. He began working for the business upon completing an apprenticeship as a carpenter and has been with the firm ever since. The construction division of The Premier Group has grown significantly throughout Evans’ time with the company. Four people were employed at the company when it first started, but it now boasts 80 members of staff at its Swansea headquarters. The construction and fuel maintenance industry has changed drastically over the past 30 years, and Evans has had to learn how to run, develop and grow the business within a constantly changing market. For Evans, identifying and adapting to such changes has been one of the company’s biggest challenges. Unleaded fuel was just taking off when Evans first began working in the sector, and petrol stations began selling more non fuel related products. These days, the focus is more towards the retail offering and with the growth of electric vehicles, the need to install more charging points at petrol stations. For Evans, the most significant change over the years has been to the construction industry as a whole, as it has progressed into a far more professional and safer industry to work in. Builders are no longer perceived as a low paid workforce. Working in construction now offers a desirable and fulfilling career, with roles in the industry being highly skilled and very well paid. 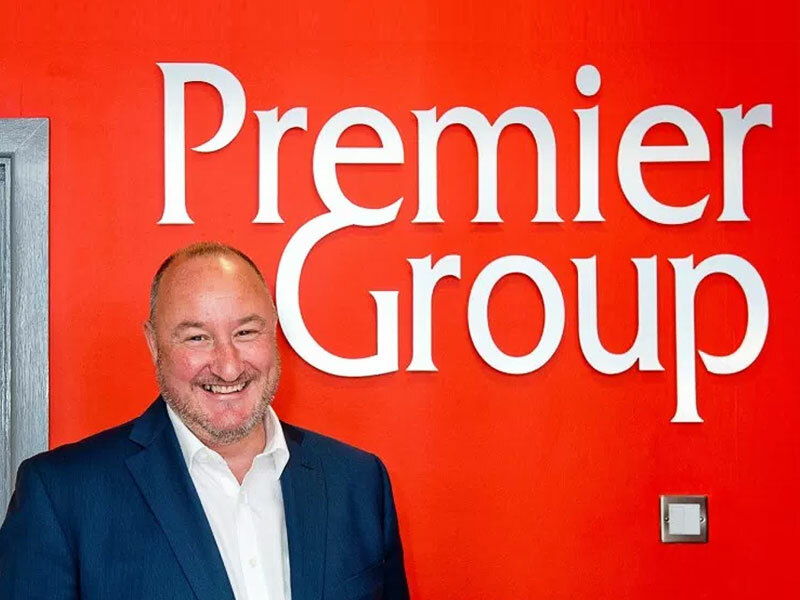 There is strong ambition for the construction division of The Premier Group to continue to grow. The company has started to undertake more work outside of the petroleum industry in recent years, and has taken on more traditional building and maintenance contracts. In addition to changes in the market, this has been as a result of the company’s experience in the sector, where it must perform to the highest levels of safety and quality, and can offer something different through its high-spec project experience. “I feel lucky to have been with the company for 30 years, as I’ve had the opportunities to progress through the business rather than having to leave to progress. I’ve learnt that through hard work you can achieve anything – you just have to work harder at the things you’re not so good at. “There has been a lot of growth and success, but we have also taken quite a few knocks along the way. It is how we have been able to adapt, learn and become better as a team that has made us successful. Without so many good people working with me, we wouldn’t have achieved what we have today. It’s the people I work with that have given me my proudest moments in the business and it’s important to me to be a part of their development.